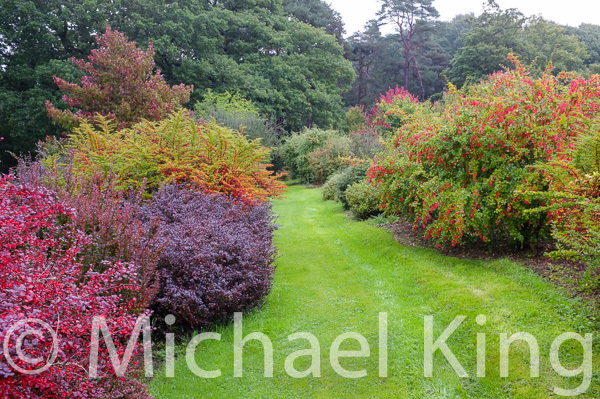 As part of my current research into the use of shrubs in planting design I have recently spent a few days in England visiting amongst other things the national collection of berberis at Sherwood House in Devon. This privately owned garden houses fascinating collections of trees and shrubs, in particular acers, magnolias and, the reason for my visit, berberis. Covering some 15 acres over steep sided valleys in a glorious rural setting this very special place is maintained with great skill by its head gardener, Vaughan Gallavan, and his small team of assistants. Why I should be drawn to one of the lesser popular genera of shrubs will need to form part of a much wider discussion of why we select certain plants when designing a garden’s planting scheme. 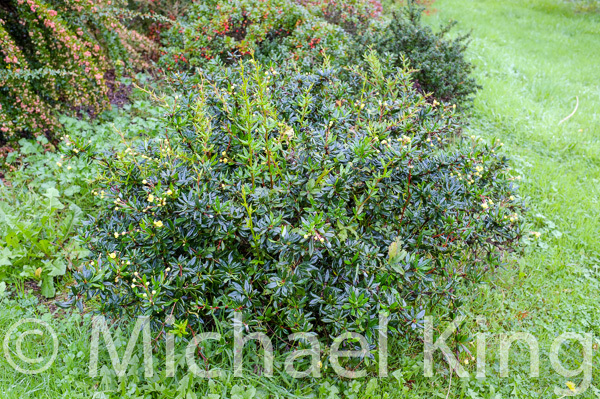 However, although berberis have a reputation for being dangerously prickly and capable of spreading invasively when their seeds are spread in the droppings of birds that devour their many berries in autumn, their ornamental values cannot be denied. 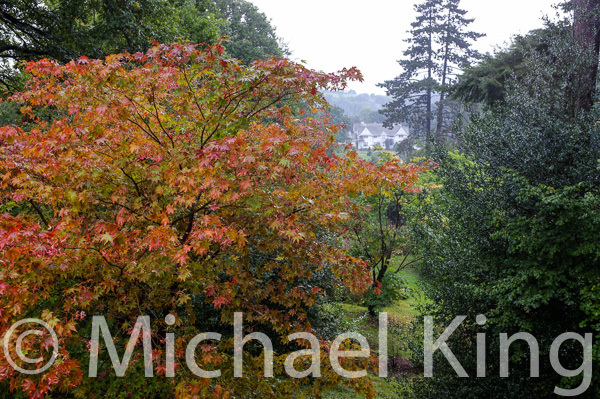 The UK’s national collection is open to the public throughout October to view the spectacular autumn tints of the deciduous species and the colourful berries that many species and cultivars of this enormous genus produce. With more than 500 species and innumerable hybrids and cultivars the genus is difficult to understand and appreciate. The advantage of a national collection is that it gives you the opportunity to come face to face with not only the good but also the bad and the ugly. I had, in fact, expected to be confronted by much of the latter; wide-spreading thicket-forming shrubs armed with vicious thorns. Well, they were certainly there to be seen, but amongst them some surprisingly beautiful plants that no true plant lover could possible overlook. 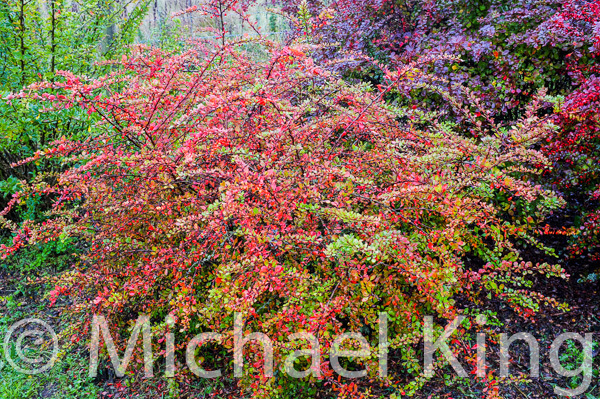 Berberis flower in spring and early summer, some are evergreen and many develop spectacular displays of berries and foliage tints in autumn. These are many of the characteristics that make worthy garden plants, especially when two or more of these characteristics are present in the same plants. Plant collections tend to group similar plants together unlike gardens where a design leads to their placement. 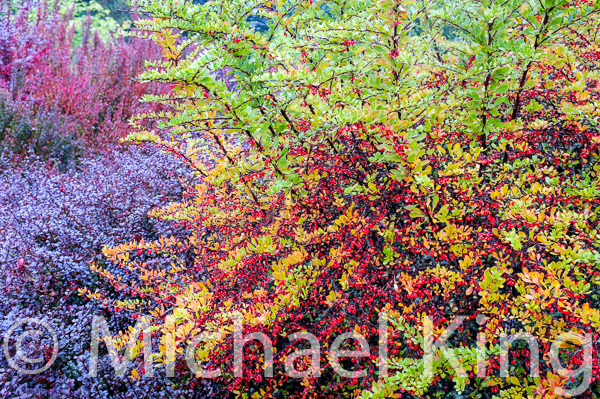 On reaching the area at Sherwood devoted to the most popular group of berberis, namely Berberis thunbergii and its many coloured leaved forms, I was taken aback by how dramatic their autumnal tints can be; something that the odd specimens dotted around most domestic gardens fail to fully illustrate. Massing and repetition once again rearing their heads as the key to good planting design! 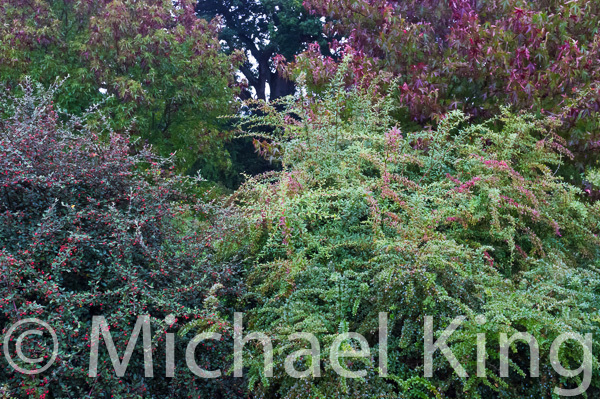 Only in the largest of gardens would the spectacle of so many shrubs growing together be possible, but it did make me realise just how effective these common plants could be if used boldly. 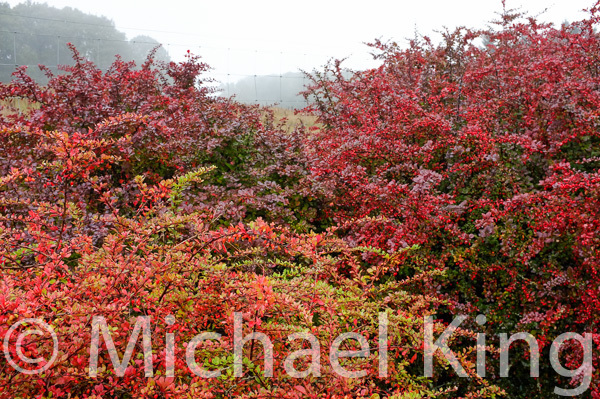 Although we think of berberis as common garden shrubs this is rather misleading as many of the most beautiful species and cultivars are rarely to be found for sale. 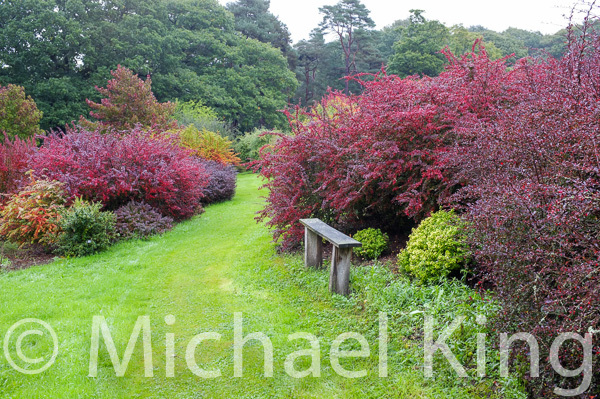 Who could not be tempted to find a place for Berberis ‘Georgei’ in their gardens? But there are only four specialist nurseries in the whole of the UK offering it for sale and none that I can find in mainland Europe. 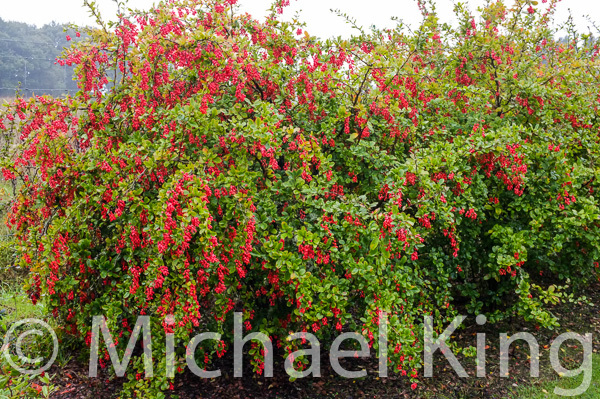 Part of the problem is the size of the Berberis genus and its innumerable hybrid selections and secondly, the fact that many of the most beautiful forms grow too large for the average garden; however, these are not problems restricted to berberis alone. 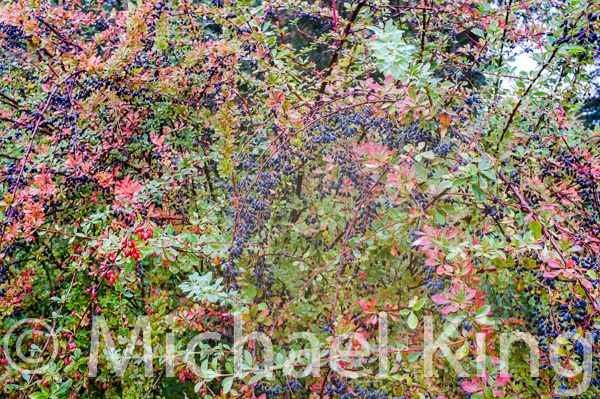 I would find it hard to find a safe space for the arching stems of Berberis paravirescens, but the jet black curtains of berries strung along its branches of silvery leaves are truly stunning. Another giant worthy of a leading role in a planting design is the evergreen species B. valdiviana. The reasons this plant is so rarely available are that it is very difficult to grow form cuttings and unless wild origin seed can be acquired, the plants are not true to the species due to the ease with which berberis cross-pollinate one another. Unknown and unavailable dwarf-growing species could bring much needed variety to the ubiquitous selections of B. thunbergii offered by most garden centres. 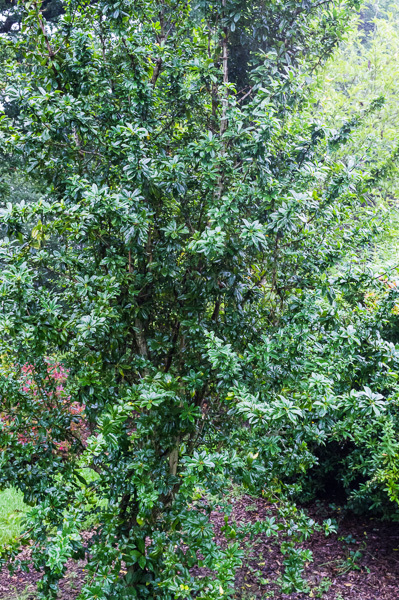 My eye was drawn to neat low-growing evergreens such as B. chrysosphaera and B. calliantha either of which could make an interesting alternative to the clipped box and Ilex crenata to be seen in almost every garden I visit, including my own. My search is on for the best garden worthy varieties and for anyone with the opportunity to visit the UK’s national collection this October or indeed in the spring when the magnolias and azaleas together with many berberis will be in flower should be sure to make a pilgrimage to Sherwood. 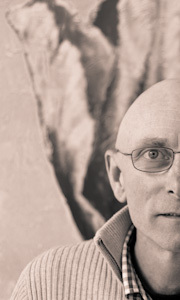 Here is a link to help you. 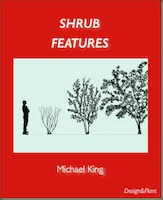 This entry was posted in Shrubs and tagged evergreens, garden design, planting design, Shrubs. Bookmark the permalink.